There were 702 press releases posted in the last 24 hours and 153,598 in the last 365 days. Our residential customers want a gas oven for convenience and in response to local restrictions on outdoor wood fired appliances. Forno Bravo is pleased to answer the building demand for this option. SALINAS, CA, UNITED STATES, May 4, 2016 /EINPresswire.com/ -- Forno Bravo (www.fornobravo.com) has announced that starting in May, 2016, they will offer a gas fueled option to their Casa and Premio lines of residential pizza ovens. The gas pizza oven can be used with either liquid propane or natural gas and both the ovens and gas burner are UL certified for outdoor use in the US and Canada. 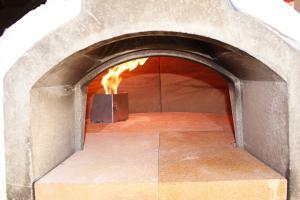 To learn more about Forno Bravo’s residential gas pizza oven kits, visit www.fornobravo.com or call 800-407-5119.